The Alfa Romeo Giulia came in for the Gtechniq crystal serum detailing package as the customer wanted to protect his new car long-term. 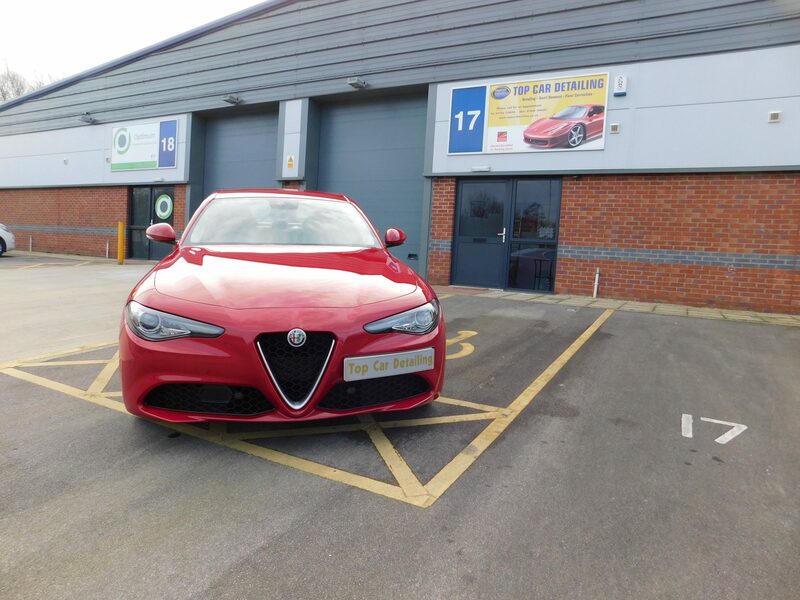 We were one of the first in the UK to detail the new Alfa Romeo Guilia after it had been launched. This car benefited from the full Gtechniq crystal serum package this included the full interior treatment, a full machine polish. All glass treated with G1 Smart Glass, all trim protected with C4 Permanent Trim, all wheels removed and coated in Gtechniq C5 Wheel Armour. The full exterior of the Alfa Romeo Giulia was coated in crystal serum and Exo forming CS Black, all tyres were dressed and coated in T2 Tyre Dressing. After picking his car the customer received a 7 year manufacturer Guarantee giving him peace of mind that his car is fully protected. If you would like any information on this coating, give us a call or contact us through our website.